BEIJING - China has warned retaliation if Washington imposes new trade penalties. The warning came following a report the Trump administration will propose increasing the tariff rate on an additional 200 billion US dollars of Chinese imports. 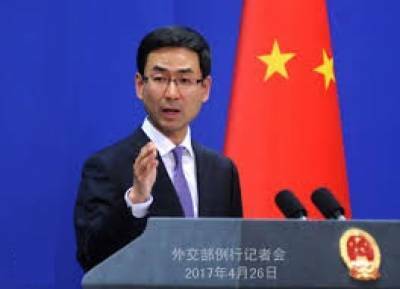 A foreign ministry spokesman, Geng Shuang, said Beijing is ready for dialogue and consultation to defuse the escalating dispute. He said if the United States takes further measures that escalate the situation, China will definitely fight back, as we are determined to safeguard our legitimate and lawful rights and interests. Washington imposed additional 25 percent tariffs on 34 billion US dollars of Chinese goods on 6th July in response to complaints that Beijing steals or pressures companies to hand over technology. Beijing responded by imposing the same penalties on the same amount of U.S. imports.